Glenn graduated from The University of Notre Dame in 2011 and is working as an Intern at Sir Charles Gairdner Hospital, Western Australia. He hopes to pursue a career in surgery. Background: Early recognition of clinical deterioration has been associated with a lower level of intervention and reduced adverse events. A widely-used approach in Australia is the Medical Emergency Team (MET) system. Research suggests having a multi-faceted approach to patient monitoring such as Modified Early Warning Score (MEWS) improves early review. Aim: To assess MET call initiation and response. Objectives: (1) In adult patients who have a MET call, was the call made immediately after meeting MET criteria? (2) In adult patients who have a MET call, was a MEWS scored > 4 reached prior to the call? Methods: 20 adult patients (> 18 years) that had a MET call made on acute medical or surgical wards at a Western Australian outer metropolitan secondary teaching hospital between 1 January and 30 April 2011 were selected. Records and observations were reviewed to determine whether MET call response was made immediately, and if MEWS were used, whether earlier review may have occurred. Results: Adjusted MET call response times (observations < 180 minutes) revealed 20% of patients did not have MET call made immediately (< one minute) and did not meet the standard. Ten percent warranted an earlier MET call and 25% achieved MEWS criteria > four within 180 minutes before MET call. Identification and responding to the patients with MEWS > 4 may have prevented 25% of MET calls. Conclusion: While all MET calls should have an immediate response, this is not always achieved. Implementation of MEWS may improve recognition and response to the deteriorating patient. This study was conducted at a Western Australian outer metropolitan secondary teaching hospital (de-identified for publication and referred to herein as “health service”) to look at recognition and response to the clinically deteriorating patient. The health service uses the MET call system. According to MET Call Policy , calls should be made as soon as a patient meets any MET call criterion (Figure 1). An internal audit  looked at observation tools, adherence to protocol, documentation and response. Results revealed 62.5% of patient deterioration were recorded and 25% of deterioration were not acted upon (i.e. no MET call or escalation for review). In addition multiple forms were used to record observations, resulting in gaps on charts, reducing the ability to identify trends. These findings are similar to a randomised controlled study where the MET call system was introduced in twelve of 23 Australian hospitals. Researchers  found that when there were documented physical abnormalities and MET call criteria were reached, MET was called for only 30% of patients prior to unplanned intensive care unit (ICU) admissions. Furthermore, the MET system increased emergency team calling but did not substantially alter occurrence of cardiac arrest, unplanned ICU admission or unexpected death. The Australian Commission on Safety and Quality in Healthcare has identified recognising and responding to clinical deterioration as a key issue. The health service was introducing the COMPASS Modified Early Warning Score (MEWS) System (Figure 2 for calculation and Figure 3 for response). Researchers reviewed outcomes of COMPASS and concluded that having a multi-faceted approach to patient monitoring improved early medical review following clinical instability. The COMPASS system was being implemented to consolidate recordings and allow for a score (MEWS) to be calculated to flag early deterioration in addition to existing MET call processes. The topic was chosen to enhance understanding of METs and early warning systems, including impact on outcomes and compliance with MET policy. The aim was to assess MET call initiation and response (process of care). 1. In adult patients who have a MET call, is the call made immediately after meeting MET criteria? (Compliance with policy). 2. In adult patients who have a MET call, was MEWS > 4 reached prior to the call? (MEWS > 4 requires medical review which may prevent MET call). A Western Australian outer metropolitan secondary teaching hospital with a total of 13,070 medical and 4,558 surgical admissions in 2011 (average 1,089 medical and 380 surgical admissions per month). On general surgery areas, there is medical cover during the day and an on call consultant 24 hours. On general medical areas, there is medical cover during the day, Resident / Registrar cover after hours until 22:00 and on call consultant 24 hours. Emergencies on both wards are covered by the MET. The health service has one MET and one backup team. The MET Call Policy is the standard for MET calls (Figure 1). One hundred percent of MET call cases must have a documented response immediately after an observation that meets MET call criteria (Figure 1). A case is any adult patient (> 18 years) on the acute medical or general surgical ward at the health service that had a MET call made between 1 January and 30 April 2011. MET calls are documented in the medical record. The Resuscitation Educator maintains a log of all MET calls. Only MET calls that occurred in patients aged 18 years and over on acute medical or surgical areas were chosen. In patients with multiple MET calls in one admission only the first MET call was reviewed and patients with altered MET criteria were excluded. A sample size of 20 was selected due to time constraints in reviewing multiple forms and calculating MEWS by transcribing observations using a collection tool. Data were obtained from medical records selected as per Patient Selection. The MET calls log was obtained for 1 January to 30 April 2011. MET calls for non-medical and non-surgical patients, patients less than 18 years and piloted records were removed. The first 20 MET calls where medical records could be located were chosen. The Author collected data by reviewing medical records and records checked for altered MET criteria statements. Observations < 180 minutes to the MET call were checked on all forms in the admission. Within 180 minutes was chosen, as MET call criteria requires urine output over 3 hours to be checked. MEWS was calculated to the observation greater than but closest to 180 minutes before the MET call using MEWS Collection Tool. Data were entered into Microsoft Excel using data collection tool and dictionary. Demographic, exposure and outcome variables are listed in Figure 4. Missing, conflicting and ambiguous data were recorded as ‘missing’. Cases were de-identified. Electronic data were password protected and collection tools stored securely. Identifying staff and patient information were not recorded, patient interaction was not required and patient consent was not necessary as per NHMRC. Stakeholders included staff involved in initiating or attending METs and Executive. Clinical Quality and Safety Committee approval was obtained. Twenty of the 36 adult medical and surgical patients who had MET calls during January to March 2011 were selected (55.6% of MET calls). Age range of patients selected was 29 to 89 years, with a mean age of 74.7 years (median 79 years). In comparison, age range for the 36 patients from which patients were sampled was 29 to 92 years, with a mean age of 72.3 years and median 77.5 years. There were no patients with altered MET criteria. Reason for MET call is summarised in Table 1. Five patients (25%) achieved two MET call categories, while no patients reached three or more categories. The most common reason for MET call was circulation problem (i.e. pulse rate < 40 or > 130 beats per minute (bpm)), with seven patients (35%) having MET call for this reason. MET call response times varied between zero and ten minutes (Figure 5). Seventeen patients (85%) had a response within and including one minute. Three patients had a delay exceeding one minute (15%). The mean response time was one minute and median zero minutes. Two patients (10%) were identified as reaching MET call criteria in observations before the one that resulted in MET call. The delay was 14 and 160 minutes, with an average of 87 minutes (Table 2). The patient with a 14 minute delay had a further four minute deferral after the second observation that achieved MET call criteria. The patient with 160 minute delay had the MET call made immediately after the subsequent observation that achieved MET call criteria. Consequently four patients (20%) had an adjusted MET call response time greater than one minute (mean 9.5 minutes, range 0-160 minutes, median 0 minutes, 95% CI 0.0749-0.4218). For two patients (10%), it could not be determined whether an earlier observation fell into MET call criteria. One patient had missing progress notes and observation chart. The other had documented deviated observations in the progress notes without time recorded. It could not be ascertained whether this occurred within 180 minutes of the MET call. Five patients (25%) achieved a calculated MEWS > 4 within the last observation greater than but closest to 180 minutes of the MET Call (Table 3). The 95% CI extends from 0.1081-0.4725. Of these, four were < 180 minutes of the MET call. Time period between MEWS > 4 and MET call ranged between five and 210 minutes (3 hours 30 minutes), with a mean of 113 minutes. Five patients (25%) were discharged the same day as the MET call (Table 4). Of the five patients, one patient deceased (5%) and four patients (20%) were transferred to an acute hospital for further management (i.e. Royal Perth or Sir Charles Gairdner Hospitals). Adjusted MET call response times (inclusive of observations < 180 minutes) revealed 20% of patients did not have MET call made immediately (< one minute) and did not meet the standard. Ten percent warranted an earlier MET call and 25% achieved MEWS criteria > four within 180 minutes before MET call. Identification and responding to the patients with MEWS > 4 may have prevented 25% of MET calls. The CI of 0.1081 to 0.4725 warrants further study with increased sample size. Twenty percent may not have met the standard due to delayed MET call response (e.g. hesitation or watchful waiting), inexperience, not recording altered MET criteria, and inaccurate documentation of times on the Resuscitation Record. The Resuscitation Record contained pulse rate > 140 bpm whereas hospital policy states pulse rate > 130 bpm warrants MET call. While this did not appear to affect data, it may create confusion for staff. Ten percent of patients required earlier MET call, showing an improvement to a previous audit  where 25% of deterioration were not acted upon. While not achieving the standard, results are better than those found by MERIT Study Investigators where only 30% of patients admitted to the ICU had a MET call. This study looked at various patients, not just ICU admissions which may contribute to this variance. Besides revealing current practice, the study provides a baseline for evaluation of COMPASS and effectiveness of MEWS post-implementation in achieving the standard. Twenty-five percent of patients were discharged on the same day as the MET call. One patient who achieved a MEWS > 4 was discharged the same day and earlier identification with MEWS may have allowed for earlier planning or transfer. The deceased patient had an unpreventable condition. Patients without MET call may have reached calling criteria. These were not included as the audit looked at MET calls made. Failure to meet the standard may be higher. Observations in the preceding 180 minutes were reviewed. Patients may have had observations warranting MET call earlier than this. Not all observations used in MEWS calculation were recorded in every observation set. MEWS > 4 may have been reached yet could not be determined. Adult surgical and medical patients were included. Responses for other groups may differ. Sample was determined from the MET call log. Missing forms or accidental omissions during logging of cases may have affected accuracy. Audit period included January which may include increased agency and relief staff. This was intentional as staff should respond to and be familiar with MET call processes. Patients with multiple MET calls only had the first MET call reviewed. This was a single site and results may not be externally valid. While data collected by the author was pre-recorded in the medical record, the author was not blinded to the study aims. Record observations on a single form. MET call policy requires a definition of “immediate” (e.g. less than one minute) to provide clarification and measurable outcome. Reiterate to staff the importance of accurate documentation (e.g. times). Conduct research to assess patient outcomes and compare with other hospitals. Re-audit following MEWS Observation Chart implementation. Compare MET call response with other Australian hospitals that utilise COMPASS. Obtain further stakeholder feedback on existing practice and potential for improvement (e.g. verbal discussion, email, team meetings). 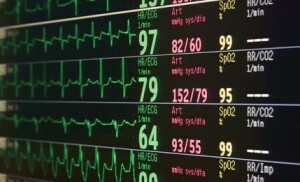 Adjust pulse rate on the Resuscitation Record to > 130 bpm to reflect hospital policy. Recommendations may be applicable to other health services utilising MET call system and MEWS, particularly defining what “immediate response” is with a timeframe to allow for review of compliance. Further research could review a selection of patients regardless of whether MET call was made and review observations to determine whether MET call should have been made. While this is a time consuming task, hospitals utilising MEWS charts will make this process easier. While all MET calls should have an immediate response, this is not always achieved. Implementation of MEWS or secondary warning system may improve recognition and response to the clinically deteriorating patient. Responding to a patient at an early stage in their deterioration may reduce adverse outcomes and use of resources. To improve review and audit of response to clinical deterioration, further clarification of what “immediate” means is required in the standard. National Institute for Health and Clinical Excellence. Acutely Ill Patients in Hospital: Recognition of and Response to Acute Illness in Adults in Hospital [Internet]. London: NICE; 2007 [cited 2011 Mar 13]. Available from: http://www.nice.org.uk/nicemedia/pdf/CG50FullGuidance.pdf. Hillman KM, Bristow PJ, Chey T, Daffurn K, Jacques T, Norman SL, et al. Antecedents to hospital deaths. Intern Med J. 2001;31: 343-8. Dacey MJ, Mirza ER, Wilcox V, Doherty M, Mello J, Boyer A, et al. The effect of a rapid response team on major clinical outcome measures in a community hospital. Crit Care Med. 2007;35(9):2076-82. Devita MA, Bellomo R, Hillman K, Kellum J, Rotondi A, Teres D, et al. Findings of the first consensus conference on rapid response teams. Crit Care Med. 2006;34:2463-78. MERIT Study Investigators. Introduction of the medical emergency team (MET) system: a cluster-randomised controlled trial. Lancet. 2005:365:2091-7. [name deleted] Health Service. Practice Standard for the Management of Medical Emergencies and Cardiorespiratory Arrest [Hospital Work Practice]. WA: [name deleted] 2011 Jan.
 [name deleted] Health Service. Audit of Observational Tools [Unpublished Audit Paper]. WA: [name deleted] 2010 Jul. [name deleted] Health Service. Practice Standard for the Management of Medical Emergencies and Cardiorespiratory Arrest [Hospital Work Practice]. WA: [name deleted] 2011 Jan. P.6. Mitchell IA, McKay H, Van Leuvan C, Berryd R, McCutcheond C, Avarda B, et al. A prospective controlled trial of the effect of a multi-faceted intervention on early recognition and intervention in deteriorating hospital patients. Resuscitation. 2010;81:658-66. COMPASS. Pointing You in the Right Direction – Adult (2nd ed.). Australian Capital Territory: ACT Publishing; 2010. COMPASS. Pointing You in the Right Direction – Adult (2nd ed.). Australian Capital Territory: ACT Publishing; 2010. P.8,9. COMPASS. Pointing You in the Right Direction – Adult (2nd ed.). Australian Capital Territory: ACT Publishing; 2010. P.11. Agresti A, Coull BA. Approximate is better than “Exact” for interval estimation of binomial proportions. Am Stat 1998:52:119-26. National Health & Medical Research Council. When does quality assurance in health care require independent review. Canberra: NHRMC; 2003.